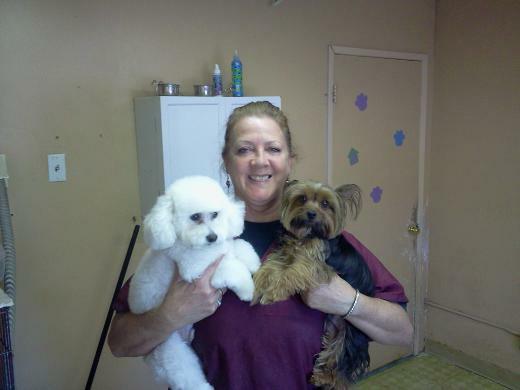 We are very passionate about the care and love we have for each pet we groom. We understand that your pet is not just a “pet,” but a cherished member of your family. We have built our business based on relationships and our kindness. Each client requires specialized and individual care and therefore will never be rushed through our shop. We need time to develop a relationship which is based trust with the clients. We want everyone to be eager to come in on each and every visit. Due to our history in the community we have been a strong supporter of the Sedona Humane Society. We will continue to offer free toe nail trims for newly rescued pets so please visit the shelter and bring home a pet in need of your help today. We strive to show each customer that we love the career that we have chosen. This is much more than a job fur us. Thank you for allowing us to meet your family and supporting us year after year!